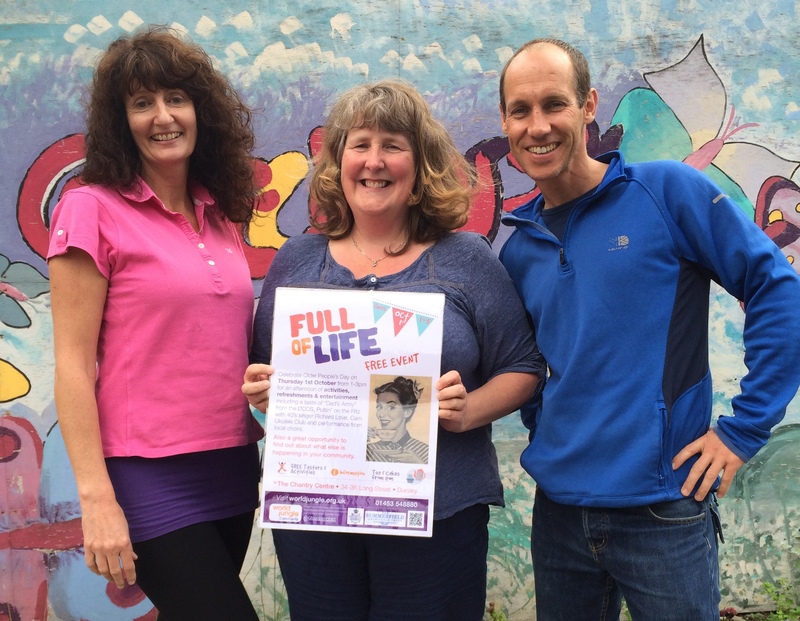 Dursley-based community organisation World Jungle is planning a special free community event in Dursley next month aimed at the over-50’s and linking in with a national campaign. The 1st of October marks National Older People’s Day in the United Kingdom and the UN International Day of Older Persons, celebrating the achievements and contributions that older people make to our society and tackling negative attitudes and outdated stereotypes. World Jungle ran a similar event in October last year which attracted over 200 people. This lead to the establishment of a ‘Full of Life’ Group which has been working with older residents across the area including those based at Glebelands, Draycott, The Corriet, Cambridge House and Vizard Close sheltered housing schemes. The project also saw the compilation of a local directory listing local groups and support services with the aim of making accessing information and signposting people to services and activities much easier. Funding for this project has been made available from the Summerfield Trust , Gloucestershire County Council Active Together Fund and Gloucestershire’s Police & Crime Commissioner. For more information, please contact Jane Manning at World Jungle on 01453 548880, email info@worldjungle.org.uk or visit the World Jungle website: www.worldjungle.org.uk .